The stinging nettle (Urtica dioica) is a perennial flowering plant that was dubbed ‘stinging’ due to fine hairs located on the plant’s leaves and stem. The sharp hairs contain chemicals, known as trichomes, which cause a painful reaction when the plant comes into contact with the skin. The tiny spikes break away from the plant on contact and stick into the skin’s surface. The exact chemical makeup of the plant’s hairy trichomes is a combination of serotonin, histamine, and acetylcholine. The skin often becomes red, itchy, and sore after contact with the spines. After the initial sting, the trichomes appear to cause a decrease in pain due to the plant’s anti-inflammatory properties that interfere with the way that the body transmits pain signals. It is this very chemical reaction that has made the plant a popular medicinal treatment throughout history for a variety of problems. The trichomes of the plant have been shown to be a potent antioxidant, anti-ulcer, antimicrobial, astringent, and possess strong analgesic abilities. The spiny plant is exceptionally hardy and gifted with the capabilities to survive a variety of climatic conditions. It grows wild across much of Europe, North America, parts of Asia and Northern Africa. Many people consider it an invasive nuisance weed. When fully developed, perennial attains a height of .5 to 1.5 meters. During the spring, heart-shaped mint green leaves emerge. Throughout the summer months, it produces a profusion of pink or yellow flowers. A hardy plant, it can grow in a wide array of conditions but usually prefers nitrogen-rich soil. Since Medieval times, the stinging nettle has been used to treat a variety of ailments such as painful joints, arthritis, gout, muscle spasms, eczema, and anemia. Nowadays, the stems and leaves of the prickly plant are used to make supplements. It is often taken in tablet form, as a refreshing tea, extract, tincture, capsule, or pill. The leaves are a powerful diuretic which is why it is often used to treat urinary issues. With advancing age, many men suffer from benign prostatic hyperplasia (BPH) which leads to a variety of urinary issues. The symptoms occur as a result of the enlarged prostate pressing on the urethra. The conditions cause an intense need to urinate, slow urinary stream, reduced flow, urinary drip, painful urination, and the inability to empty the bladder. It is believed that the condition occurs as a result of hormonal imbalances due to aging. Sudden Inability to Urinate (Urinary Retention): If the condition is allowed to persist the prostate can become so large that it obstructs the urethra causing an inability to empty the bladder successfully. Urinary Tract Infections (UTIs): When a man cannot empty his bladder entirely the risk of a urinary tract infection (UTI) increases dramatically because the bladder becomes a breeding ground for bacteria. Kidney Damage: Continued pressure from the urine in the bladder often causes damage to the kidneys. Also, persistent infections frequently reach the organs. Bladder Stones: Bladder stones develop as the sediment sits for an extended amount of time in the bladder. Left untreated, the stones cause irritation, infection, bloody urine, and increased obstructed urinary flow. Bladder Damage: Over time, a full bladder will stretch which affects the muscle wall of the bladder’s ability to empty. 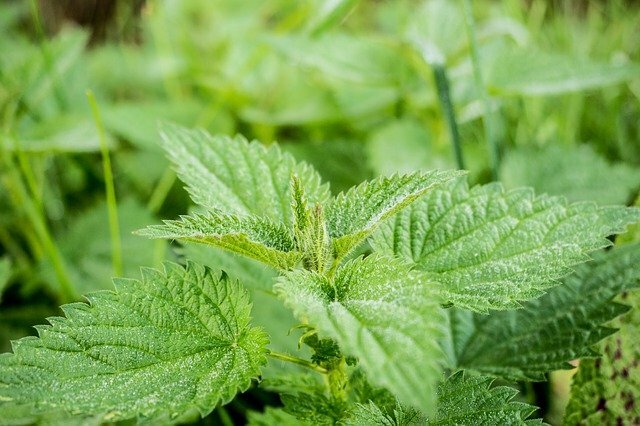 The exact reason why stinging nettle relieves the symptoms of an enlarged prostate are still being researched, but it is believed to affect the male testosterone levels. 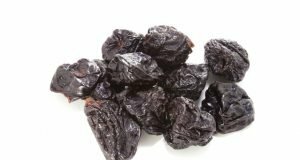 In a study done by the Department of Pharmaceutical Sciences in Madhya Pradesh, India researchers found that the plant was as effective as the prescription medication known as finasteride, which is frequently used to treat BPH. The plant appeared to actually slow the growth of prostate cells. It is hypothesized that nettle directly affects prostate cells while also balancing testosterone and estrogen in the male system. If you currently take finasteride or some other prescription medication to treat BPH, you should not cease using your medication but speak with your physician about the benefits of perhaps using nettle as a combination treatment to alleviate your symptoms of BPH and keep the condition from advancing. Osteoarthritis sufferers have historically turned to Urtica dioica to relieve joint and muscle inflammation. In ancient times, many would brew up a nettle-based cup of tea during the winter months to reduce their body aches. 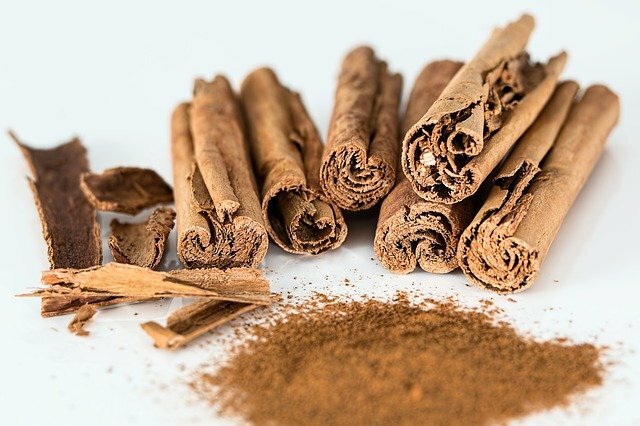 It has even been applied topically as an ointment, lotion, or oil to bring about healing relief. Researchers at Strathmann Research GmbH in Hamburg, Germany found that it is also effective at relieving the joint inflammation caused by the autoimmune disorder rheumatoid arthritis. Combining nettle-based supplements with NSAIDs is often a viable treatment for joint pain. The trichomes on the nettle plant contain histamine which is one of the key ingredients in a variety of hayfever and allergy antihistamine medications. Interestingly, histamine is what causes the allergic reaction in the body, but the allergy symptoms can also be treated with histamine to reduce their effects on the sufferer. Physicians do not know exactly what causes eczema. It often appears to run in families, so a genetic link is believed to be a trigger. Eczema sufferers experience a dry, itchy rash. The antihistamine and anti-inflammatory properties of the needle plant appear to relieve the rash symptoms. Typically, the supplement is taken orally and also applied topically to the rash to bring relief. There are a variety of ways you can use nettle-based products. They come in a freeze-dried leaf form, as a root tincture, capsules, tablets, teas, juices and as a variety of ointments. Each product has varying amounts of active ingredients so be sure to read the labels. In many circumstances, you might want to consult with your physician to determine the correct dosage. Tea Products: Numerous varieties of nettle-based tea are available at health food stores and other locations. The beverages often contain a variety of ingredients such as goldenseal, raspberry extract, and echinacea. Cooked: The leaves, stems, and roots of the Urtica dioica are all edible. Many people opt to prepare the plant similarly as spinach. Some people even say that it tastes like the favorite leafy green vegetable. Young leaves are a tasty addition to soups and stews. You can also add the plant to a smoothie. Never eat the leaves raw, or they will continue to have the stingy hairs. 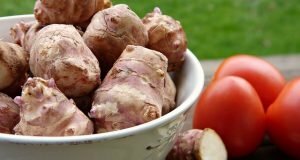 When cooked, the plant contains a variety of vitamin A and vitamin C with protein and iron. Topical: Root tinctures and extracts are highly effective when applied to joints and other areas of the body that are experiencing pain. It is widely available in cream form. Capsules and Tablets: The plant comes in capsule and tablet form. It is advised that the supplement is taken with food to prevent an upset stomach. 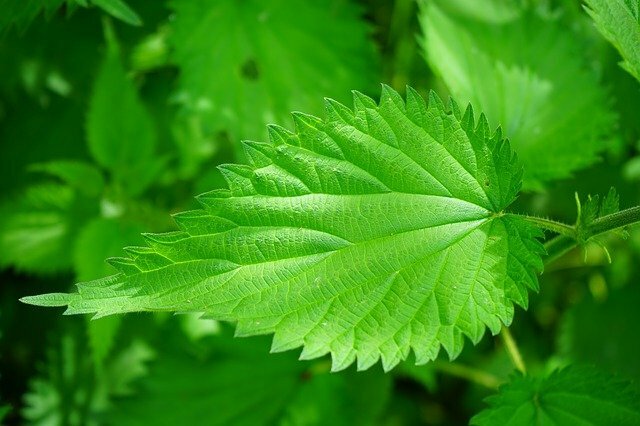 Blood Thinners: Nettle-based products often affect the blood’s clotting ability. If you take blood-thinning drugs such as Warfarin (Coumadin), Clopidogrel (Plavix), or aspirins, then you should consult your physician before taking the supplement. Blood Pressure Medications: The Urtica dioica plant has been shown to lower blood pressure. If you are taking a blood pressure medication great care should be taken because the supplement can increase the drug’s effectiveness. Drugs such as ACE inhibitors, beta-blockers, and calcium channel blockers should not be taken with nettle-based supplements without first consulting with a physician. Diuretics: Urtica dioica works as a natural diuretic so when taken with a diuretic it may cause dehydration. Diabetes Medications: Stinging nettle lowers blood sugar naturally which might strengthen the effects of certain diabetes drugs significantly. The reaction can put you at risk of developing low blood sugar. 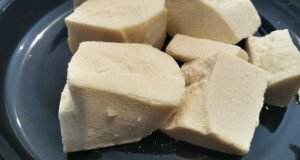 Lithium: Takers of lithium need to use extreme caution when taking nettle-based products because it reduces the body’s ability to cleanse the drug from the system. For centuries, holistic medicine practitioners have turned to stinging nettle for a variety of health benefits. Nowadays, researchers are only just beginning to understand the effects of this plant on the human body. If you opt to use nettle as a supplement, then please consult with your physician first to make sure it does not adversely react with any of the prescription medications that you may be currently taking.